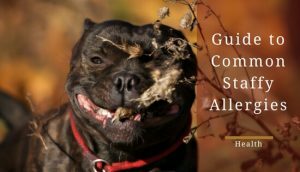 Leaving your Staffordshire Bull Terrier alone at home can be very stressful for a dog owner. Often, you find yourself wondering if you're going to come home to a disaster zone; table legs legs chewed, pillows ripped up, sofa torn apart. 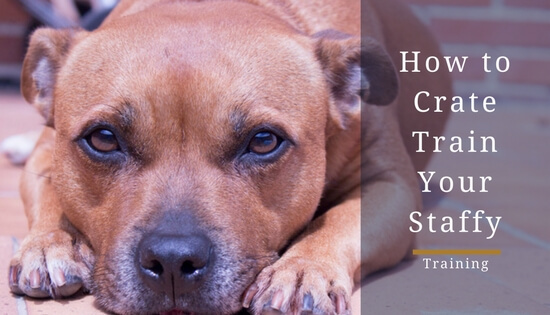 However, there’s an easy temporary way to keep your staffy safe and secure at night or when you leave them alone: crate training. 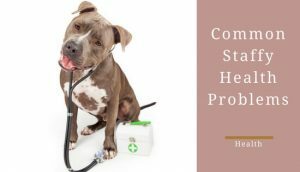 In this article, I’m going to give all the information you need regarding crate training, including some useful tips and steps on how to properly crate train your dog. 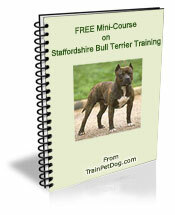 Join 875,000 other loving dog owners in taking this free training mini-course from the pro team at trainpetdog.com. Is Crate Training a Dog Cruel? 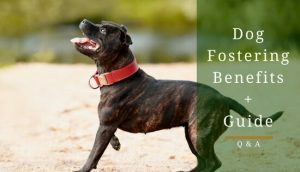 What Size Dog Crate for a Staffy? Now, it’s important to acknowledge most dog owners view crates like they’re a nightmare prison for dogs, which for some dogs, is completely true due to how their owners use crates. Essentially, the crate becomes a place for your dog to feel at home when you’re away. However, this sense of security resonates from how you use the crate. For instance, if you use the crate as a place of punishment, your dog will see it as the nightmare place most dog owners believe it represents. 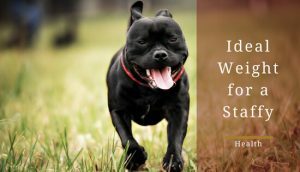 This is why positive reinforcement is key and pivotal when crate training your Staffordshire bull terrier. It’s extremely important to make sure your crate training them the right way. A crate can be very useful in the potty training process because dogs will often refuse to relieve themselves inside their dens (crates). You can use the crate to establish a routine or encourage control of your staffy's bathroom schedule. Also, a crate can be used to safely transport your dog when it needs to travel. Let’s be honest, there’s nothing worse than traveling with a dog that doesn’t feel safe inside the car. Therefore, a crate would give them that feeling of safety. Moreover, it can confine your dog if they get too excited when guests come over. In this case, don’t keep them in the crate too long or they’ll start to see the crate as a form of punishment. A minute or two should do the trick. Honestly, a crate’s a great way to keep your staffy safe, as long as, you training them in the right way. Once you feel comfortable that your staffy understands you’re always coming back, you can begin to leave them out of the crate. Using the crate for too long can cause your dog to associate it with the fact you’re gone. It will ruin the crate for your dog and it may become a place of depression for them. In fact, once your staffy can resist the urge of tearing apart the house, the crate door should stay open and let them use it on their own terms. 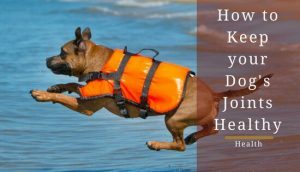 After all, you don’t want to reverse all the training you did and have your pup resort to acting out in different ways. 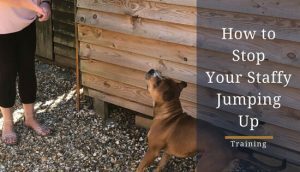 Crate training can take days or weeks depending on your staffy's personality. The one thing you don’t want to do is immediately force them into the crate. This will result in them seeing the crate as a place of fear. It's important to take it slow and make sure the whole experience’s pleasant for your pup. It will give them a sense of familiarity with the environment around the crate. Place a blanket or towel in the crate and let them explore the crate on their own time. Call them over to the crate with a pleasant tone of voice. Keep the crate door open and secure so it doesn’t spook your dog. Put a couple of treat near the crate, then right inside the crate's door, and finally inside the crate to give them the incentive to enter the crate. If your dog's not treat motivated, try a favorite toy. Make sure to slowly move their bowl to the back of the crate over time, as they get more and more comfortable. Once your dog's fully standing in the crate and eating, close the door behind them. If your confident your pup is comfortable with the crate, its time to try leaving them alone in there with you out of the house. Again, we want the crate to seem like a place of positivity and safety. It’s probably a good idea to throw you their favorite toy into the crate: as well as, anything that they gravitate toward. It’s key to make sure your voice is calm and relaxed when calling over your dog. Don’t make it seem like your shouting at them for a punishment. The treat will bring positivity and make it seem like going inside the crate is an action you will reward. The key is to make your dog thinks going into the crate's associated with praise from you. Step 4: Close the door and make sure the crate is secure. After all, we don’t want the whole process being ruined by human error. The feeling of positivity and security will resonant when he/she comps down on their treat. Remember to give them a lot of praise when you do close the crate door. There you have it, a well-behaved crate-trained dog. However, I must remind you the aim is to make this is a temporary solution to prevent your dog stop tearing apart your house. 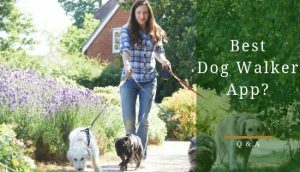 This isn’t a permanent fixture, it’s a way to manage anxiety and make your dog feel safe while they learn how to treat the home. Choosing the right size crate for your dog is key. Obviously, you don't want your dog to be squashed and uncomfortable in a tiny crate. However, you need to be aware that buying one that's too large isn't a good idea either. The dog needs to treat the crate as his sleeping and living area, not his toilet. If you get a big crate, he/she will use half as a bedroom and half as a toilet. You don't want to be buying your dog an en-suite! Crate length: Measure from nose to the base of their tail. Don't include the length of tail. Add around 12 cm to this measurement. 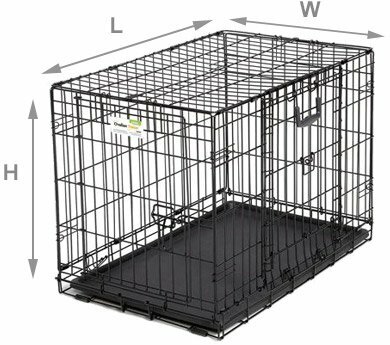 Crate Height: Measure your dog from the floor to their tallest point when they are sitting proud on all fours. Add around 12 cm to this measurement. For the majority of staffies, a 76 cm/30" crate will be the right size. Here is a list of 30" crates on Amazon. The are various options when it comes to the type of crates on the market: wire frames, plastic, soft crates and even some fancy looking wooden framed ones are available. Most people will be happy with a wire frame crate since they provide a good mix of functionality and pricing. I usually suggest for most people to go with a wire crate to begin with unless you are concerned with how it may look in your house. In which case, a wooden frame crate would be your best bet since they look a lot nicer. 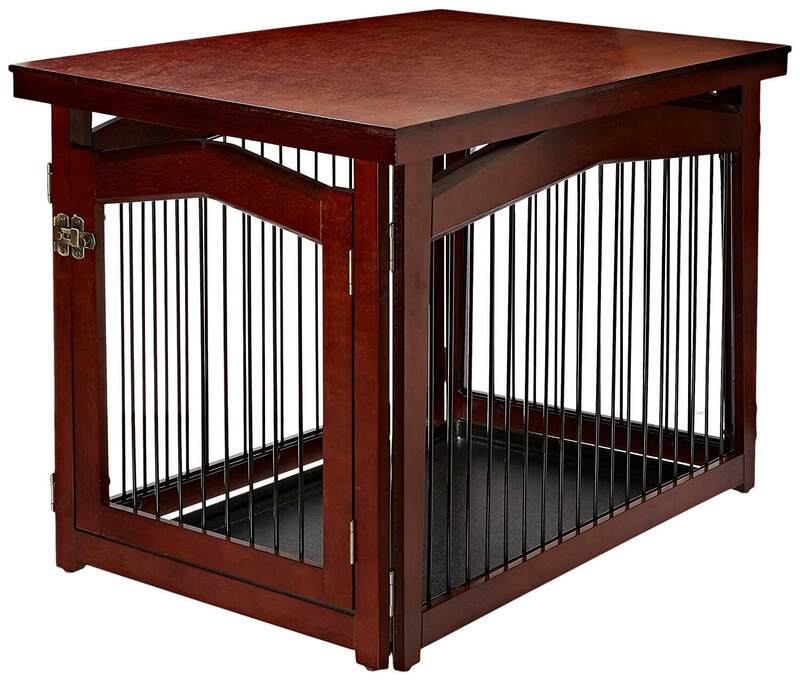 This 2-in-1 wooden frame crate folds out into a divider with a gate and is very popular on Amazon. If you do want a wire frame crate, which is probably suited to most people, take a look at this crate on Amazon. It is very well-reviewed, cheap and comes with a divider so you can use it for a puppy as it grows.